The older we get the harder it’s getting to fall asleep when we need too. 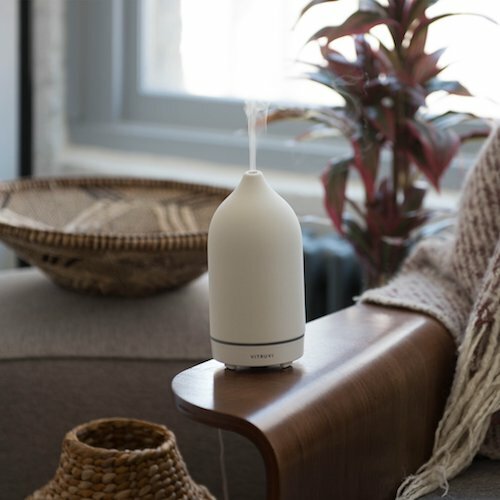 One non-pharmaceutical method we’re trying is diffusers with essential oils like lavender to help us sleep calm. Of course there are all types of diffusers available, but fellow design lovers will love this one by VITRUVI — its handmade porcelain with ultrasonic technology and looks great in any decor. Vitruvi has the science of scent down pat.